You Are Here: Home > Why Choose Mercedes-Benz of Honolulu for Genuine Sprinter Parts? Why Choose Mercedes-Benz of Honolulu for Genuine Sprinter Parts? From the smallest repair or maintenance task, to full engine or transmission replacement, only authentic Metris or Sprinter parts should be used on your van. Mercedes-Benz of Honolulu’s parts center is your source for genuine parts near Waipahu and Ewa Beach! OEM parts are engineered to meet the same specifications as the original parts in your van. If we don’t have your Metris or Sprinter replacement part in stock, we’ll order it for you – and we have Mercedes-Benz Certified Technicians on-site to provide installation service. From your oil filter to your engine, Mercedes-Benz guarantees that their parts live up to the name, and the reputation of Mercedes is why you have a Sprinter or Metris Van in the first place, isn’t it? While the Sprinter and Metris Vans might seem like vastly different vehicles from the typical Mercedes-Benz, they are still built with the same attention to detail, precision, and care. That means that you shouldn’t trust their routine maintenance, repair work, or new parts installations to just any mechanic around Honolulu. 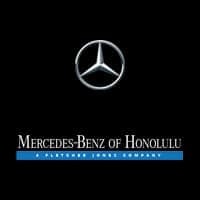 Here at Mercedes-Benz of Honolulu, our technicians are trained in the ins and outs of all Mercedes-Benz vehicles. Whether you’re driving a stock cargo or crew van, or you’ve outfitted and upfitted the Sprinter interior with the accessories needed to fit your business, our Mercedes-Benz Certified Technicians will ensure it leaves our dealership in the best condition. The reliability of auto repairs and maintenances depends on largely on the quality of the parts and fluids used – and it’s our mission to provide nothing less than the best for your vehicle. When you need genuine Metris or Sprinter parts near Ewa Beach or Waipahu, Mercedes-Benz of Honolulu is here. Order your parts online now, and we’ll contact you when they’re available for pick-up.